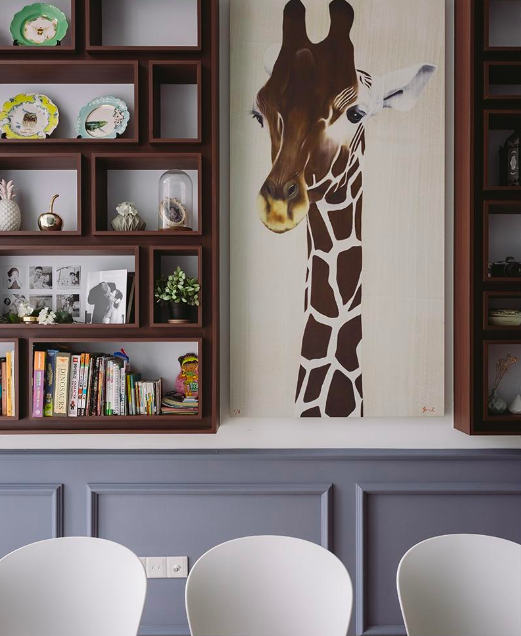 Stepping indoors, it isn't hard to see the appeal of mommy blogger Liang May's condominium apartment - with its soaring 4.2m ceiling, pleasing palette and thought-out spaces, calling it the ideal family home isn't a stretch at all. "The number one feature of the house is its tall ceiling," says the mother of two. "It's what convinced my husband and I to choose this ground unit. The rest of the apartments on the upper floors all have a regular height, which sort of makes this a 'penthouse' unit in a way." Putting aside its good bones, the next most impressive part of the house is probably the fact that its entire look was conceived by May herself, who despite her self-confessed lack of design experience, succeeded in creating a beautiful abode for her husband, son and daughter. "My husband is in sales. And I don't have any background in architecture and design either," says May. "It just helped that we are, perhaps, a bit more creative and adventurous?" 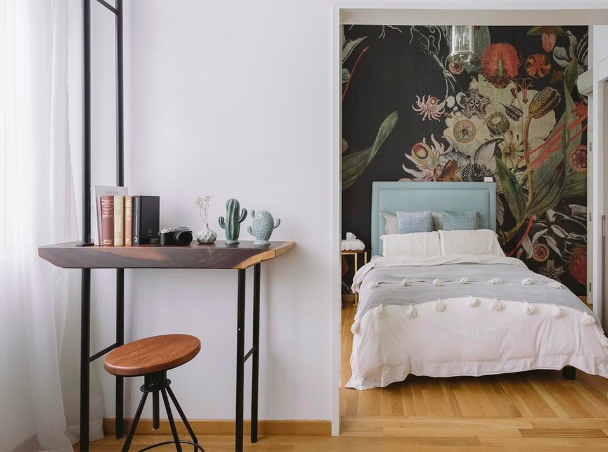 Armed with a personal vision born out of various ideas from Instagram and Pinterest, May tackled her apartment's renovation room by room, with each space receiving tweaks and changes based on its dimensions as well as its intended use. "For the current dining area, I had a discussion with my husband and we decided to have it where the living room was supposed to be," says May. "The reason for the swap is because we both wanted to maximise the amount of space in the original living area. It's the largest zone in the house and would comfortably fit our extendable dining table, which the children use to do their homework as well." Other notable decorative features that May chose for the communal areas include waist-high decorative wainscoting ("They help to emphasise the ceiling's height.") 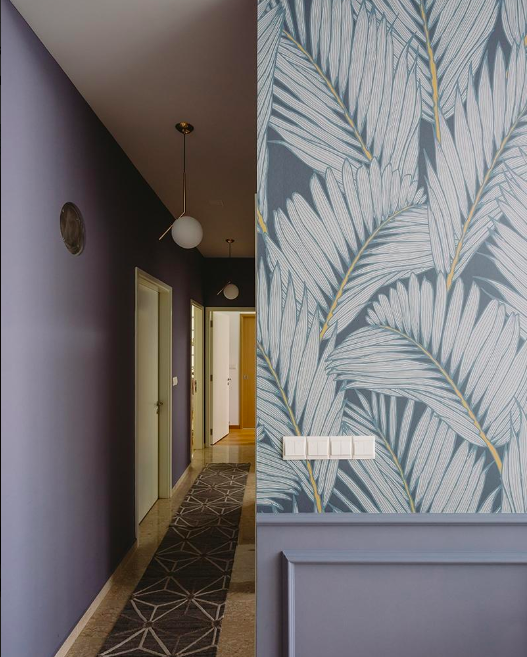 and a soft-blue wallpaper with a fern motif that helps "brings an air of natural beauty to the surroundings". Further emphasising the botanical theme that runs throughout the house are a variety of faux plants that May sourced from a local online home goods store, 3LittlePicks. "Initially, I tried caring for real plants, but it turns out that I don't have a green thumb. [laughs]," she says. "Instead, I got these (faux plants), which look a lot like the real thing." 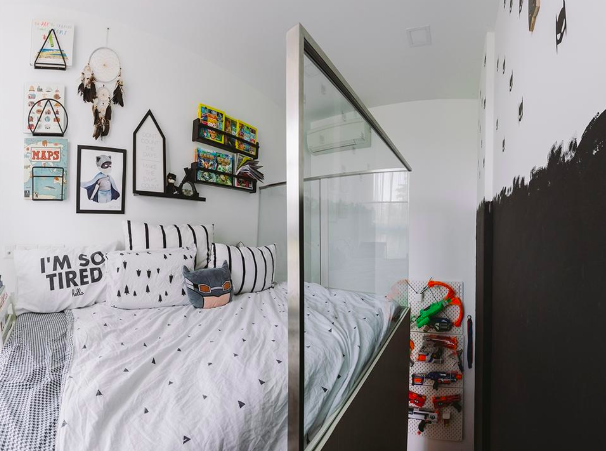 For her son's bedroom, she decided to surprise him with a Batman-themed look - brought to life by a variety of character visuals, from framed wall art to decals featuring the Dark Knight's visage. 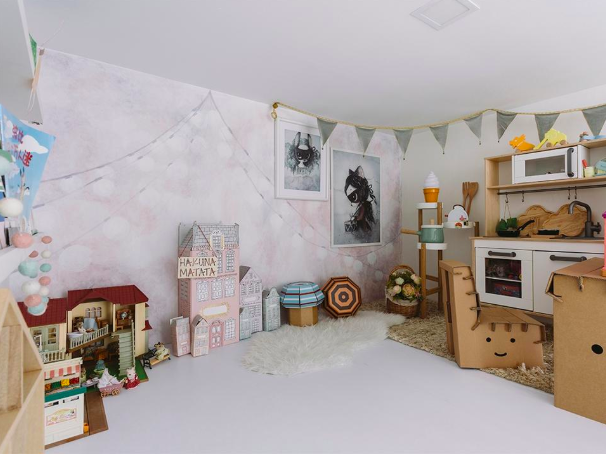 "We mostly kept to a monochrome scheme because my son has plenty of belongings and having too many colours would just make the space look too messy," explains May. In contrast, her daughter's personal quarters were given the white-wash treatment with spots of dusty pink included as a subtle accent. Similar to her son's bedroom, a bespoke loft bed was added to the space to make full use of the bedroom's height. 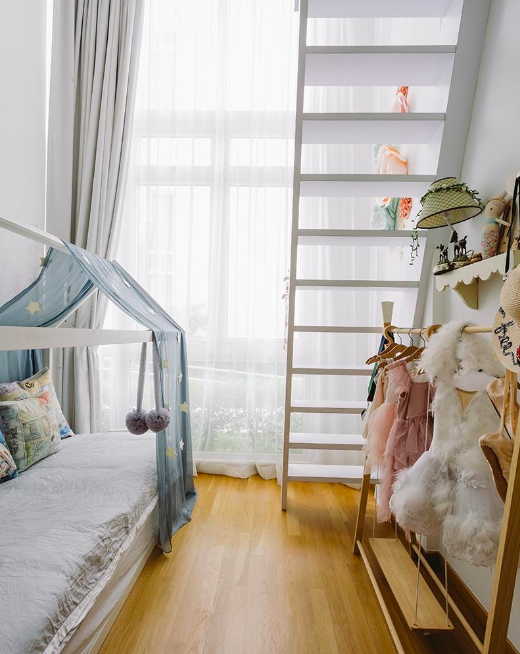 Instead of a sleeping area, a mini play area - complete with dreamy watercolour accents and make-believe kitchen - occupies the top bunk. 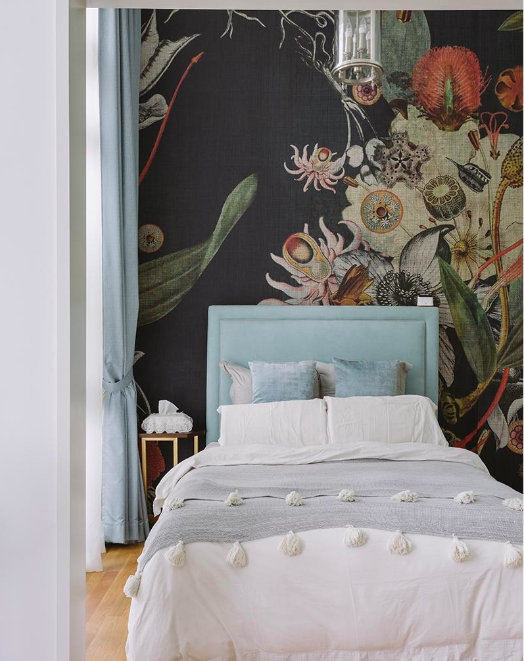 "My husband and I did consider having a loft bed in the master bedroom initially," shares May. "We ended up changing our minds because it would make swapping the bedsheets troublesome." However, that's not to say there weren't any changes made to the space. "Right from the beginning, we had plans to expand the master bedroom by merging it with the room next door," says May. The result? A more spacious sleeping zone that now comes with its own en-suite living area. The master bedroom's makeover also saw the original wardrobe being torn down to make way for a home theatre system. 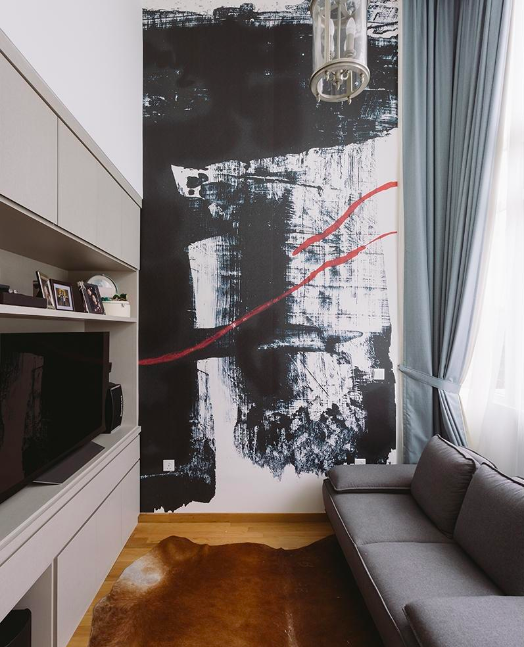 "I know it's odd that our living area doesn't have a TV like most homes, but we really felt that it should be a space that's purely for interaction, rather than one where everyone's eye are glued to the screen. It's why we have the TV here," explains May. When asked about what she would have done differently, May says: "Perhaps, I should have taken the chance to revamp the kitchen. I have always liked open-concept kitchens. However, my husband felt that we would exceed our budget if we went ahead, and so we left it as it is." But missed opportunity or not, one thing is for certain - this mommy blogger's foray into design did pay off, beautifully.